UN General Assembly to meet on Syria, vote on a resolution that condemns the Security Council for failing to take action against Damascus. The UN General Assembly said on Tuesday it will hold a meeting on the crisis in Syria this week, Reuters reported. Diplomats told the news agency the assembly it will likely vote on a Saudi-drafted resolution that condemns the Security Council for failing to take action against Damascus. 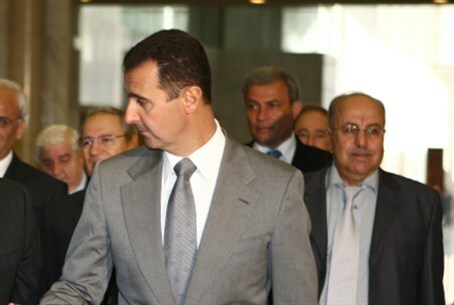 The 193-nation assembly's press office said the meeting on Syria's 16-month-old conflict will take place on Thursday. The latest draft, dated July 30, was penned by Saudi Arabia, which is openly supporting the rebel forces fighting to oust President Bashar al-Assad. Damascus recently acknowledged having chemical arms and said it would only use such weapons if it was attacked by foreign powers. The assembly meeting comes after Russia and China used their Security Council veto powers for the third time on July 19 to strike down a Western-backed draft resolution that would have threatened Syrian authorities with sanctions if they failed to halt the violence. The Saudi draft resolution would also have the assembly “deploring the Security Council failure to agree on measures to ensure the Syrian authorities' compliance with its decisions” calling for an end to the violence. That condemnation, Western envoys say, is aimed at Moscow and Beijing. Western diplomats told Reuters they hope a strong majority vote in the assembly for a resolution condemning Syria and the Security Council would increase the pressure on Russia and China to stop shielding Assad from sanctions. The Saudi resolution also reiterates the Arab League's calls for Assad to step down and allow a political transition to a democratic government. The draft text urges both the government forces and rebels to stop the violence, though it focuses its criticism on Assad's government.